It is a new thing for me to relate to people in the military and the military industrial complex across dinner tables, church pews and street corners instead of across picket lines, fences and arrest scenarios. It is harder, in some sense. I trudged down the side of the road carrying a small sign: “I am waiting for YOU to shut down Guantanamo.” We were marching toward the Naval Submarine Base New London in Groton, Conn., on Good Friday. I was grateful for the orange jumpsuit that added a layer of warmth and the black hood that blurred my sight. Not because I like not seeing, but because it was nice to not be seen. Not just yet. This is not my normal M.O. at demonstrations. I like to be out and about; I like the give and take with passers-by. In New York City, where I was an activist with the War Resisters League and Witness Against Torture for 12 years, I often opted to pass out leaflets or hold a lead sign. I even honed an outgoing, chatty, aw-shucks persona that helped me greet everyone with enthusiasm and openness. But New York City is not southeastern Connecticut. When the response was hostile and barbed, it was brief. Even the biggest haters in the Big Apple are in a big rush. They are also largely anonymous. In a city of 8 million people, the person who tells you to “get a job” or “move to Russia” or wants to “behead all the Muslims” is probably not going to be pulling you over for speeding on Route 32 or taking your gas money at the local Pump ‘N Munch. Is that what I was worried about as I walked down the road on my way to the U.S. Navy’s submarine base? Not really. What I was really worried about was the people I already know and like who work at the base or at General Electric — the big military contractor in the area. I was not quite ready to “come out” as a peace activist. Until moving to New London two and a half years ago, I had never been friends or even acquaintances with people in the military, or people who worked at military contractors. For years, I have casually and professionally referred to them as “merchants of death” (not that I coined the term), but I didn’t know them. Now I live in a town that sees its economic vitality as dependent on General Dynamics, the Coast Guard Academy and the submarine base. My massage therapist is a subcontractor at Electric Boat, a division of General Dynamics. My best friend’s new next-door neighbor makes great beer and works for Electric Boat as well. Our old downstairs neighbors were in the Navy. When my car battery died, he helped me get my car started again despite my assertion that I knew what I was doing (which I most certainly did not). We have a friend at church who sings in the choir with his daughter perched on his shoulder. He run-commutes to work at the submarine base with her in a jogging stroller. Half the moms in the local La Leche League live on the submarine base. Joanne Sheehan — my mother-in-law, a nonviolence training guru and a longtime War Resisters League staff person — often says that it is easier to speak truth to power than to speak truth to family and community. She has lived in this area for more than 30 years. I am starting to see what she means. I have yet to scourge these friends and acquaintances as “merchants of death” or challenge any of them to give up their jobs and work for peace. Should I hang up my peace movement credentials? I am trying to figure it all out. It is a new thing for me to relate to people in the military and the military industrial complex across dinner tables, church pews and street corners instead of across picket lines, fences and arrest scenarios. It is harder, in some sense. It is easy to judge and condemn and decry. It is hard to relate and communicate and respectfully agree to disagree. These conversation “starters” actually kill dialogue, don’t they? Empathy, compassion and mutual aid will be more effective and way more nonviolent. It is about building relationships, right? Where do I want to go? Understanding (mine), conversion (mine and theirs) and transformation (ours). It is time to take off the hood. Frida Berrigan is a columnist for Waging Nonviolence and the author of "It Runs in the Family: On Being Raised by Radicals and Growing into Rebellious Motherhood." She lives in New London, Conn. with her husband Patrick and their three children. Thank you, Frida, for writing about such a sensitive topic. You are not alone. Many activists, myself included, have to come to terms with this at some point. There is an author by the name of Paul K. Chappell who writes about this very thing. He was a captain in the army and is now the Peace Leadership Director for the Nuclear Age Peace Foundation in Santa Barbara, CA. I suggest his books because he can speak to this from a unique perspective in a clear and articulate manner. He also has a website http://www.paulkchappell.com. And, finally, I went in with the understanding that the U.S. Military was one of the most powerful forces in the world, and it might be a good idea to bring a different kind of consciousness into that environment rather than avoid it, or to simply stand outside and point fingers at it. I was able to interact with countless young men and women, some of whom are still some of my very closest friends today, many of whom were also truly There to Serve their country and the world in the best way they could. In other words, they were pretty ordinary, caring human beings, just like me. In his books, Paul does a great job of challenging the stereotypes surrounding “warriors” and others in the military, and showing how much common ground they share with peace activists. His work is realistic as well as deeply hope-inspiring. I was profoundly affected by it, so much so that you could say his ideas kept me “engaged” when I was just about ready to give up, and run away (or ride away, in my case). Now, I’m fully committed to “Waging Peace” and I am grateful for all of the ideas and tools Paul has supplied to make that more possible, for me and for others. Rather than ask why they work at jobs which support violence, you might try asking them how they will feel if children just like their children are incinerated by a bomb they put their good seal on. Yes, you should ditch the jump suit, call a spade a spade and a victim a victim. People in the military complex, just like people in the prison industry, are victims along with the rest of us. They get caught building devices for destruction instead of living the dreams they had as children. Talk about greatness, talk about potential, remind these people what they do every day may lead to the end of the world as we know it, a world without man. In the meantime, what happened to their dreams? I am urging all our club members to become active to one degree or another. But we all need a single massive NATIONAL protest event. We certainly are at a point when so many things need correction – but we don’t get the exposure…….. Thank you Frida, wonderful perspective! Many who work in the MIC are as human as are we, but the hoods must come off, for the good of humanity. Thanks again. Thank you my friend . As you know my biological sister has a very prestigious ( in some people’s minds ) position with the US Navy . Our conversations are difficult and yet filled with grace that has come with years of persistence ~ on both our parts . Bless you . as if it were a tangible thing. Very well said, Kathryn. I, too, took my oath to “Support and Defend the Constitution” very seriously, as did so many of the other people I met during my tour of duty. In addition, I think you are accurate in pointing out that there is actually more common ground between military personnel and peace activists than many have been led to believe. Clearly, it is critical that we bridge that gap in understanding for our mutual goal of peace to be realized. I love this. I first became a peace activist in 1982, working for the Nuclear Freeze Campaign. In 2009 I got a job for a company that contracted to provide counseling for the National Guard. I worked with people in the Guard and their families. What a great opportunity to work through my own judgments and preconceptions. I like to believe I was more open-minded than to have considered the people “merchants of death” and instead to view the problem as the systems and outdated world views. Still, I didn’t know a lot of people in the military personally before that job. What I would say in response is: Try listening more than speaking. And yes to empathy before any attempt at educating. Try Nonviolent Communication (based on the work of Marshall Rosenberg). How would you feel if they began a conversation with an attempt to educate you on the wrong-headedness of your views? Try lots and lots of empathy for yourself, which probably would include mourning and grieving (as compared to the anger that goes with judgments). Try finding the common human longings. It sounds like you are already doing this. The forms of your activism may change dramatically. You may actually become far more effective. You may find out that what you are for (peace) is actually what they are “for” as well — you just have very different ideas about how to get there. You may find that being “for” is far more powerful than being against. This is some of my experience. In some ways, my activism took a break, at least in how I used to think of “activism.” And my heart opened even more. I will also confess that I no longer have that position, because in the end, I was uncomfortable working in a way that seemed to me to be support people coping with a system I didn’t like. Still, I have profound respect and affection for the people I met at that job and am very grateful I had it. I learned a lot. What I heard from people is that I also contributed, insofar as I was able to offer empathy and a nonjudgmental ear. Thanks for personalizing the dilemma that many of us face. Your fabric of friendships, however, gives you an amazing leg up on effective ways to be a witness for nonviolence and activism. Your “aw shucks”persona is a unique and valuable asset. Don’t despair. We lived in New London for seven years in the 1990s, then moved to Colorado Springs, where we now live. We experienced the same challenges in New London as Frida does now; and appreciated the opportunity to work with Joanne Sheehan and Rick Gaumer on strategies to move that community toward economic conversion. Those challenges seem even greater in the politically and religiously conservative culture here in Colorado Springs, with a very large active and retired military personnel presence and a defense dependent economy. We have found that the practice of Engaged Buddhism with a Sangha in the tradition of Zen Master Thich Nhat Hanh has helped us stay centered and solid as we struggle to find nonviolent strategies for change. Trying to practice Marshall Rosenberg’s principles of Nonviolent Communication has helped us formulate ways of talking with people with whom we seem to have little in common, but who share the same basic needs as we do–safety and security, ease and peace, integrity and more. Still, it’s a daily struggle. I remember seeing you outside our base on Good Friday on my way back from church! I was confused as to why there were peace activists outside that base in particular. 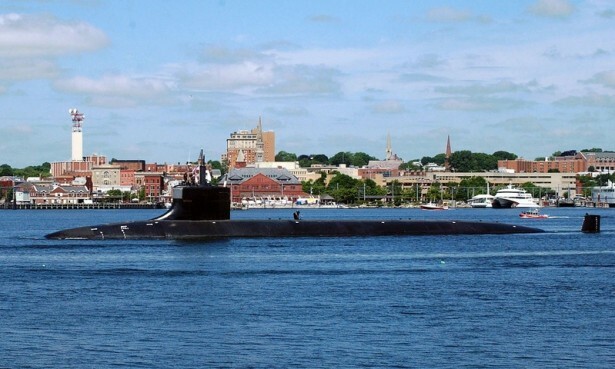 There are no ballistic missile submarines or guided missile submarines stationed in Groton. All of the submarines there are called “fast attack” submarines. They were designed to track and destroy hostile ballistic missile submarines, but not a single one has fired a torpedo in anger since the end of World War II, and these days their missions are mostly intelligence collecting, meant to aid our diplomats and politicians in keeping us out of more wars. Where am I going with all of this? The result is that many of the submariners and support staff at Groton truly believe that their work does keep us out of wars with other naval powers. Many believe that their work is an effort at world peace, just not in the manner that you would like. My suggestion is to approach your neighbors from this angle. Rather than accusing them of being merchants of death and murderers of fathers and daughters, talk to them about how they think they are working toward a world at peace. At least that would be a way you could start a conversation with me.